The secret weapon of the warrior is not the M-4, but visualization. 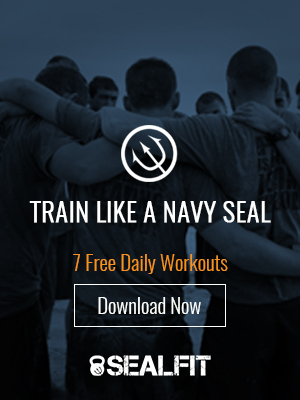 This is the one tool that every Navy SEAL, Astronaut, Apache Scout, Olympian, Spartan, Samurai, Ninja and Top Executive though the ages have used to super-charge their results. If you are new to visualization it can seem simple and yet, daunting. How do you know if you are doing it right? Clearly you have embarked on flights of fantasy with wild imaginative meanderings. As a kid I was an avid daydreamer, often getting the chalk eraser beaned into my head from the teacher who was not impressed with my visualization skills. Imagination is a form of visualization that has many benefits. Not everyone has the ability to see in their mind’s eye. So if you love to day dream – you have an advantage! What if you see a warrior sitting quietly in the corner before a mission – do you think he is imagining what it would be like to have a successful mission? Well, not really. He is doing is Focused Visualization. Focused Visualization is controlled, directed and empowered imagination grounded in a very specific purpose. Why does visualization work? I will save that for when you come to an Unbeatable Mind Academy to master this powerful skill. Check out this great audio call from our Unbeatable Mind program that I did with former Detroit Lion’s running back Derek Price where we discuss the role visualization played in his success. This is part of our Unbeatable Mind Academy, which is available to the SEALFIT community for only $47 a month rather than the normal $67 rate. Listen to my interview with Derek Price, former NFL line-backer and future SEALFIT Kokoro coach. Notes: The 3 week Academy is filling up fast. It is the ONLY 3 Week Academy in 2012. The next will be July 2013. Please join us to master SEALFIT and Unbeatable Mind principles and practices, then test yourself with a free Combat Defense Seminar and Kokoro Camp!